← Beautiful and Wondrous, With Northern Lights. One of the most interesting things about working in the hospital in Yellowknife is meeting people from all over the north. 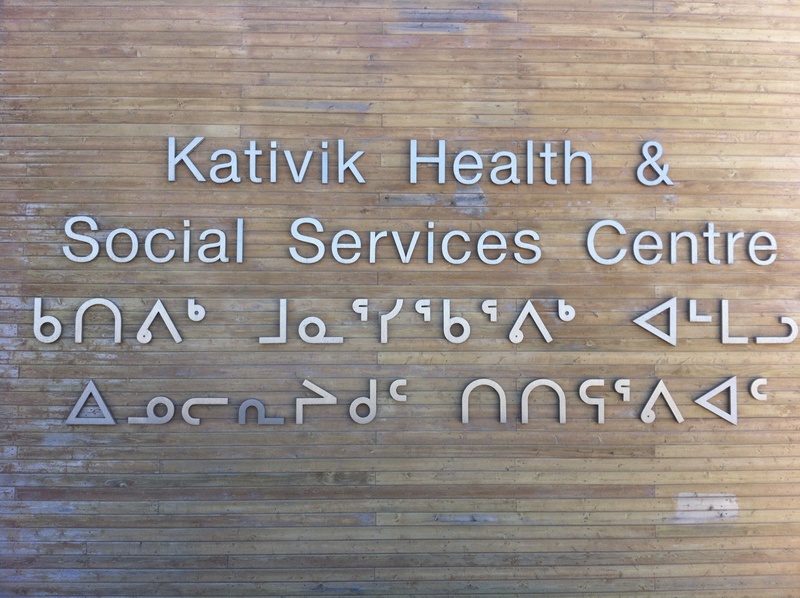 Most of the residents across the Northwest Territories, as well as the western half of Nunavut, come to Yellowknife for hospital or specialist care. Each of the small communities across this far flung region has a health centre, staffed by nurses, where residents get medical care. 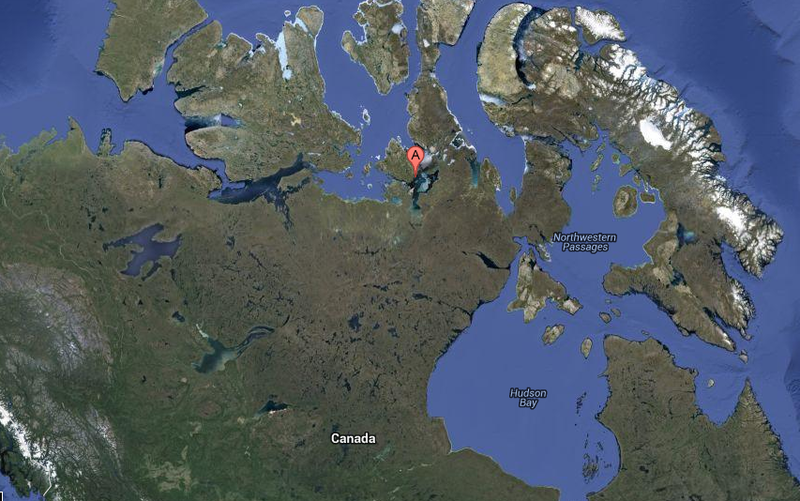 Part of my job as a Yellowknife emergency doctor is to provide telephone support and advice to the nurses. So every day at work I speak to nurses across the land, and decide what care a patient requires – ranging from reassurance that the nurse is doing all that is needed, to giving treatment advice, reviewing an XRay, or arranging a patient transfer to Yellowknife. To call out a plane for an urgent transfer costs roughly $10,000. If the patient can wait a day and get on a scheduled flight, its more like $1000. As you can imagine, the medical travel budget for the North is enormous. The nurses in the nursing stations have an unenviable job. They are providing comprehensive primary care 24 hours a day, and have to deal with every emergency that comes their way – whether or not the health centre is equipped to deal with it. They have no ability to hospitalize patients, so if someone needs to stay overnight, it means the nurse has to sleep at the patient’s bedside. 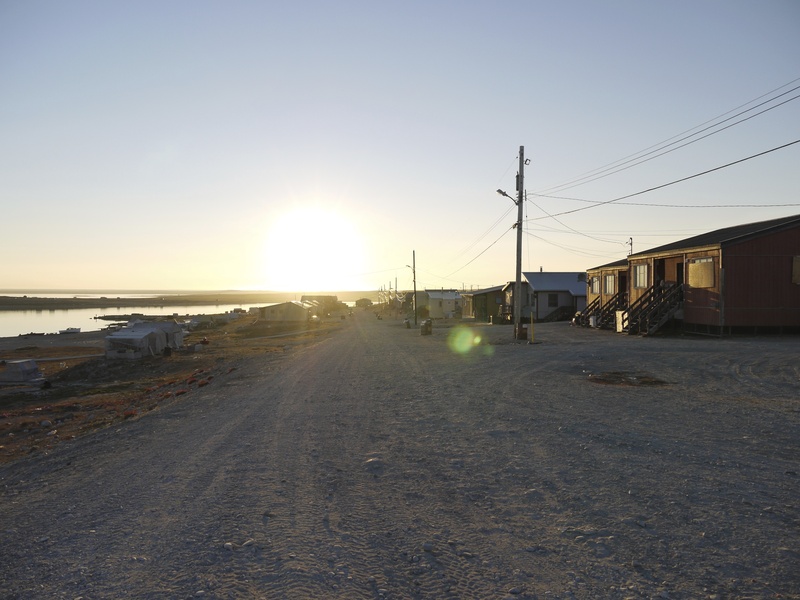 The rates of certain medical conditions, as well as trauma, are very high in the north, and so the health centre staff are nearly guaranteed to see very sick people at times. 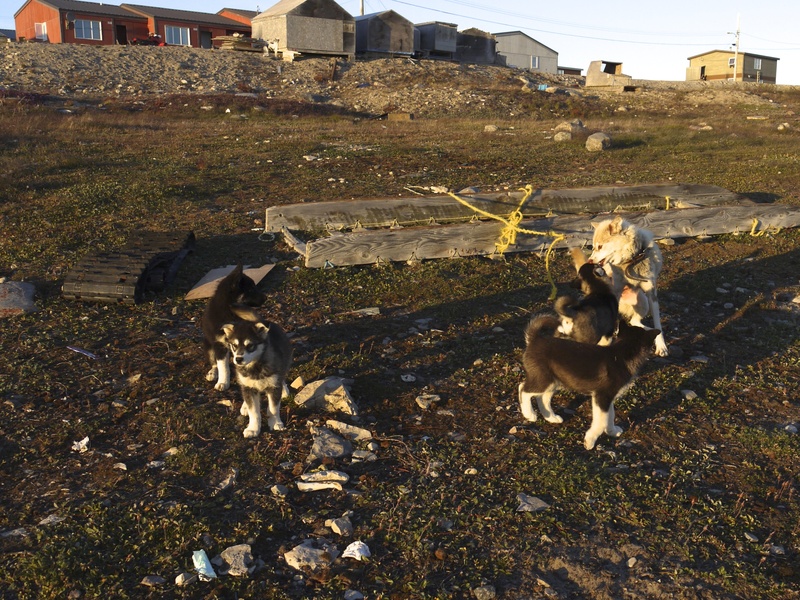 I love my contact with the patients I meet from the high Arctic communities. 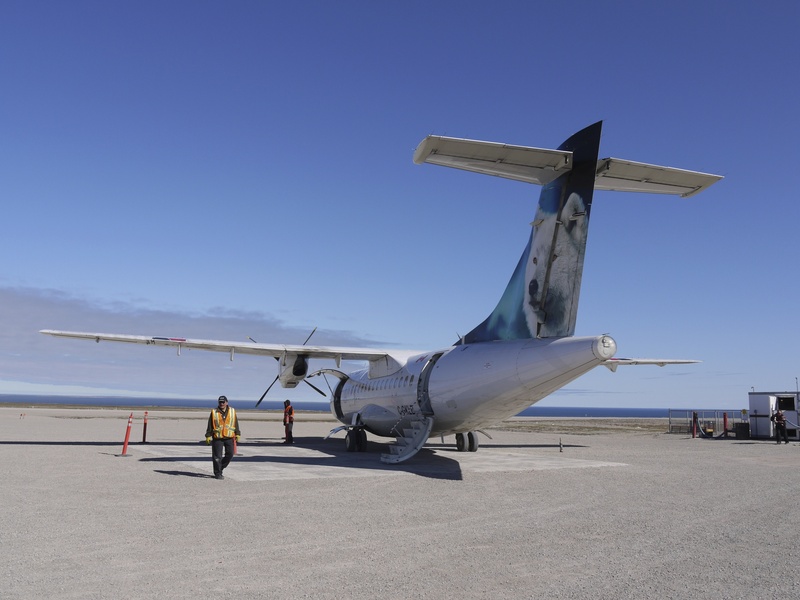 They are mainly Inuit people, although there are several different cultural groups and languages through this large region, (of which I am entirely ignorant, alas.) It feels sometimes like meeting people from a different time and a different country. 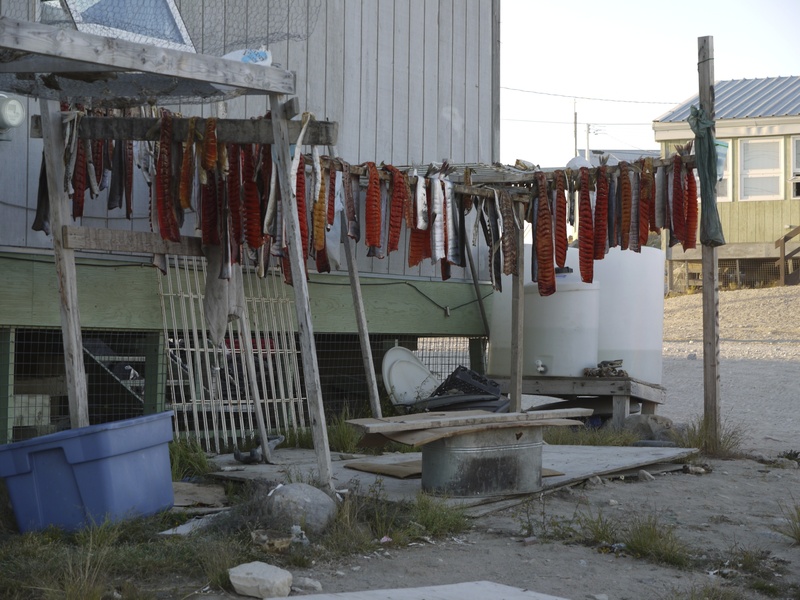 They come to the ER in their traditional clothing, and with traditional foods, like char, (my favorite fish), muktuk, (which is whale blubber), or caribou. (I recently had some caribou heart – a delicacy, and it was amazingly tender and delicious, to my surprise.) 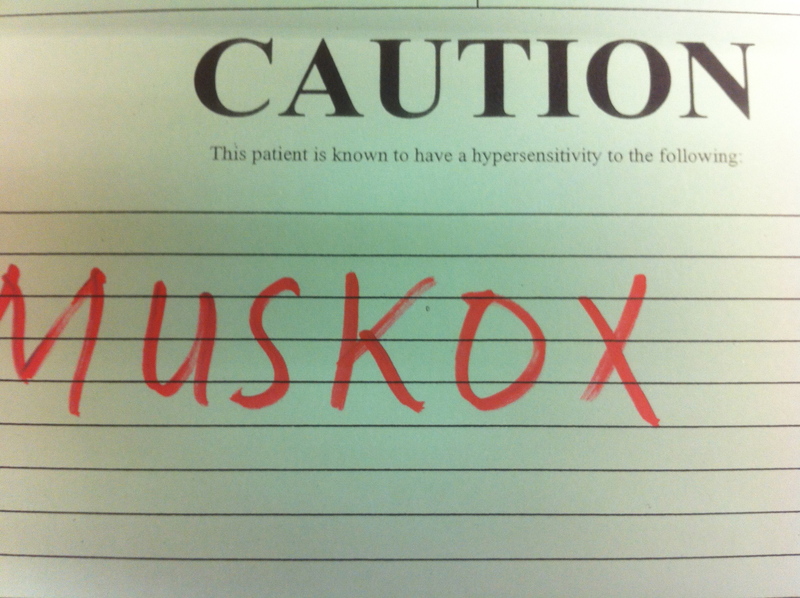 This can lead to some interesting notes on patient charts, like this allergy alert form. 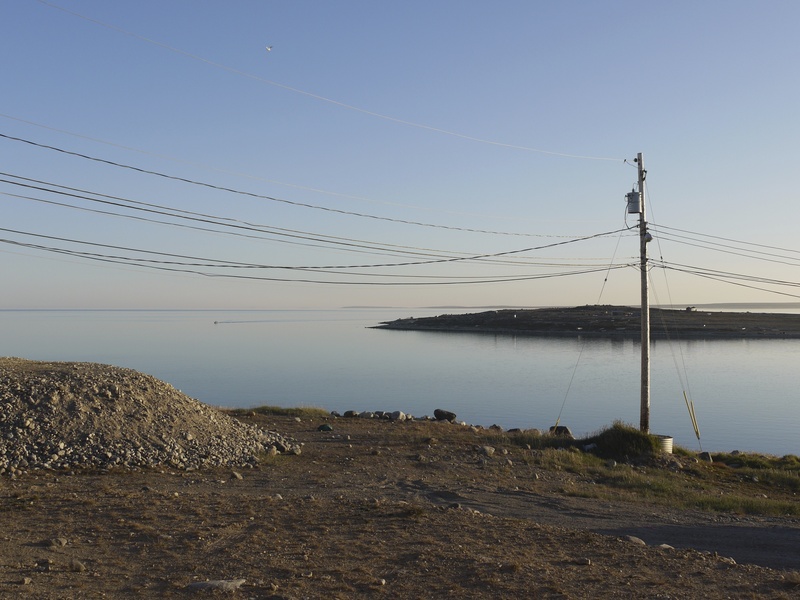 At the risk of cultural stereotyping, I will say that I find the Inuit people to be, in general, quiet, slow to speak, very pleasant, and very accepting. Decidedly not demanding. Sometimes they communicate with unusual facial gestures, like eyebrow movements to indicate yes and no. They look me in the eye, and smile with both face and eyes. I really feel like I’ve been seen. And welcomed. The elders are especially full of character. I will never forget one hunter I met, an 80 year old fellow who was raised in an igloo and on the land. We did not have a common language, yet it was clear to me that this man with his aged, finely etched face, so angular and sunbeaten, so full of character, was a wise being. This man had a presence and an energy that I’ve rarely encountered. So full of serenity, of knowing, of wisdom, of gentle acceptance. Naturally I find the life and culture of the Inuit fascinating. I’ve heard some stories of life in the communities, the remote places these traditionally nomadic people have settled in, yet its hard to imagine what life is like there. My best guess is that it might be more like a foreign country than other foreign countries I’ve visited, as it must be so different from the rest of Canada I know. It took a while, but eventually I navigated the mysterious paths of bureaucracy and obtained the necessary medical license to go work in a community myself. 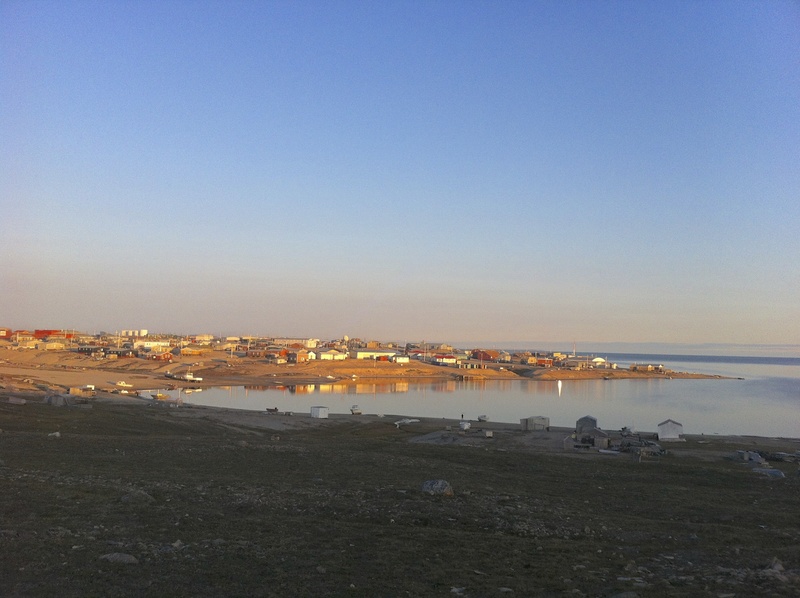 I was asked by a Yellowknife colleague to share the monthly community visits to Gjoa Haven, in Nunavut, and I was thrilled at the change to see this remote part of Canada for myself, in a way that a tourist can not. 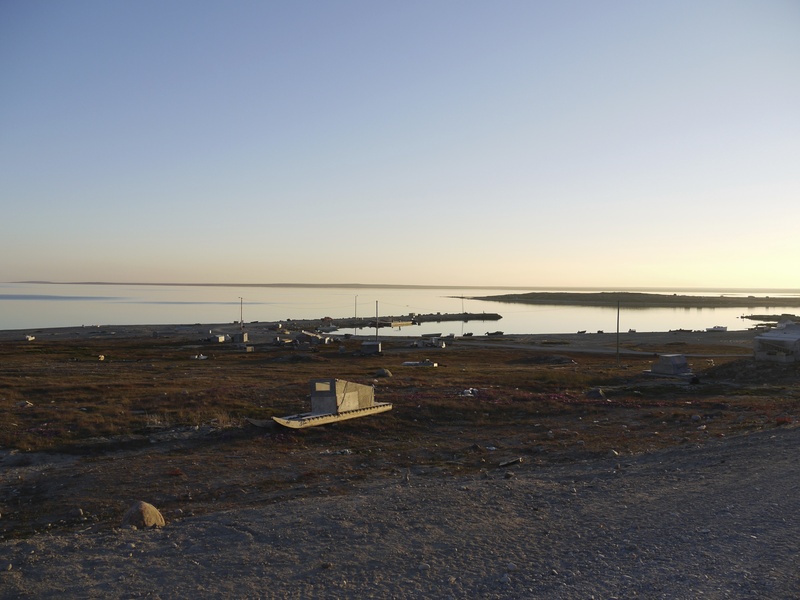 Gjoa Haven is a community of about 1400 people, on Victoria island in the Arctic Ocean, just north of the mainland. 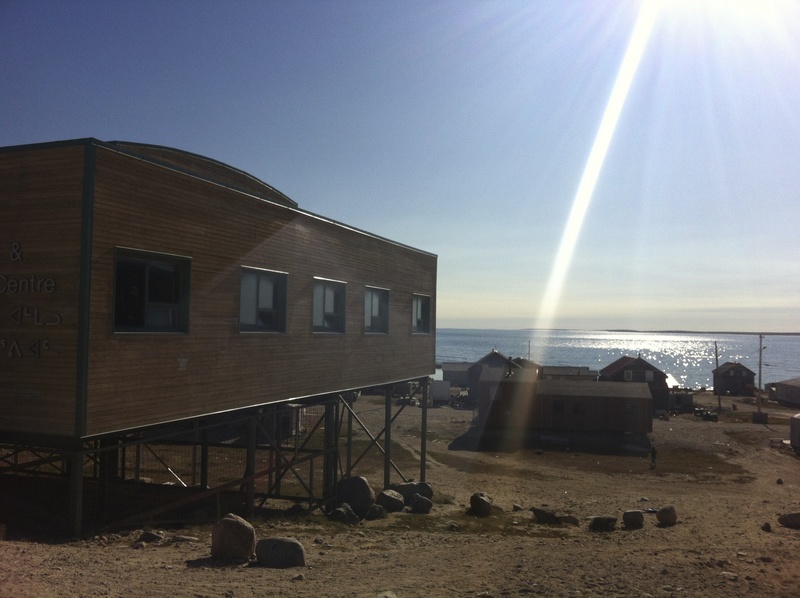 The name comes from the Norweigian ship Gjoa, which Roald Ammundsen used to find the Northwest Passage. He found safe anchorage in the harbor and spent two years there, just 110 years ago, in 1903. At the time there were about 70 people based there, although as nomads I am sure they moved around with the seasons and the movement of the caribou. Because of Ammundsen and his men, we know something what the community looked like to outsiders at the time, a rare opportunity to understand something of the local culture before there was significant contact with the outside world. I was lucky enough to go there in August and while I was there the weather was unseasonably warm. The temperature was 20 degrees, the sea was like glass and the sky a clear blue. The locals were all perspiring in the unusual heat, although to my surprise they seemed quite overdressed in long sleeves, fleece and coats, and even toques. I suspect they may not own anything more fitting for warm weather, having such little need for it. The town is a surprisingly small collection of houses, (meaning there aren’t enough houses for everyone, I’d guess, and multiple generations share a home) right on the water. 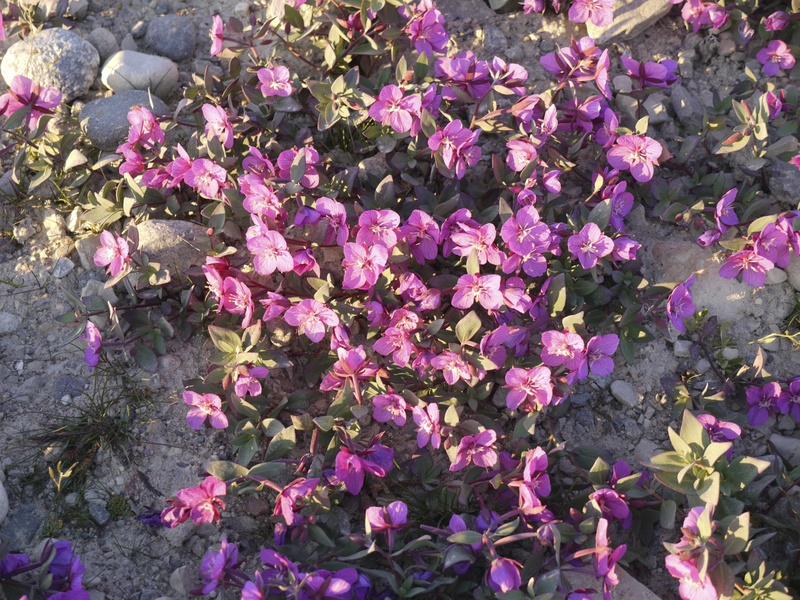 The surrounding tundra is flat in all directions, the vegetation about 1 cm high and brown when I was there. The ground is soft and spongy, and there are lots of small lakes and streams. The area around the town is littered with snowmobiles and komatiks, the tough sleds used for hauling stuff in the winter. 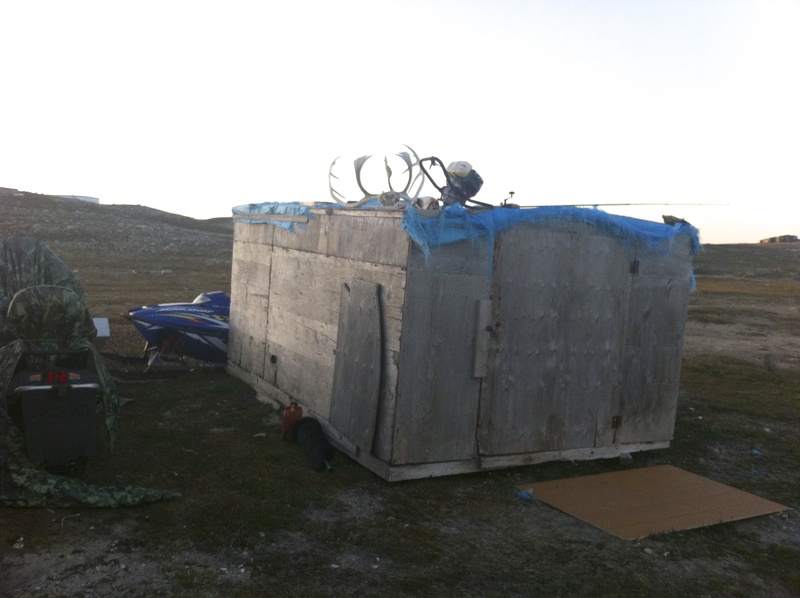 There are also assorted shacks doting the landscape, for storage or summer camps I suppose. There are lots of boats too, in the bay. Scattered here and there are sled dogs chained up to a dog house, some with puppies roaming around, and to my surprise, all very friendly. Under that 1 cm of vegetation is sand and big rocks, so that is what all the “roads” in town are made of. They aren’t roads per say, just areas that have been traveled enough to pack down. There are probably no more than 5 km of road in the area, so few automobiles. People mainly get around on ATVs, in summer, and skidoos in winter. (The absence of the car also means that its incredibly quiet in town – at 10 pm under the blazing sun, or 7 am, its so quiet in town you can hear a pin drop.) The absence of graded roads means the terrain is rough – difficult to walk on, and impossible if you have a walker or a stroller. No wonder the tradition of carrying babies and small children in a large hood on mom’s back survives. (This is called an amati). I suspect for the infirm elderly, this means a life indoors. 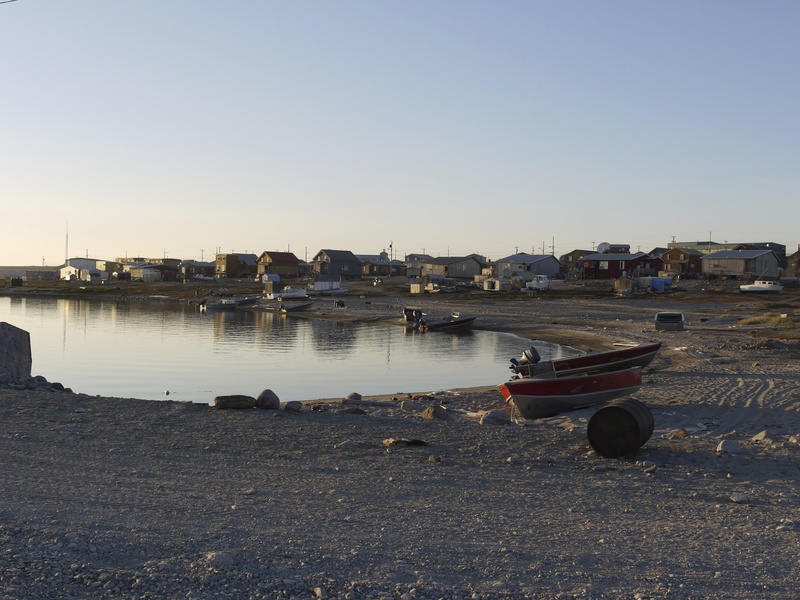 The town consists of long rows of houses in rough blocks, near the bay, and a few public institutions – the health centre, the school, the police, a new heritage centre, some churches, the airport, and two private enterprises – The Coop Grocery Store and The Northern Store, both with food and basic items like clothing and household items. And that’s about it. No video store, no corner store, no liquor store, no restaurant or coffee shop. No park, no town square, not one bench or tree, no movie theatre, dress or shoe shop, hardware store, bakery, or drug store. There are an amazing number of kids in town – something like 800 of the 1400 people are kids, and there are about 100 kids under two. (Imagine the difficulites of planning for this kind of population growth, where houses have to be brought in on the ships that come once a year, or by air. The cost must be enormous.) The kids are incredibly friendly – happy, welcoming, playful, curious. Everywhere smiling and laughing kids. Lots of people come by the medical residence to sell their local crafts. (There is really very little opportunity for them to market their work, or find employment.) 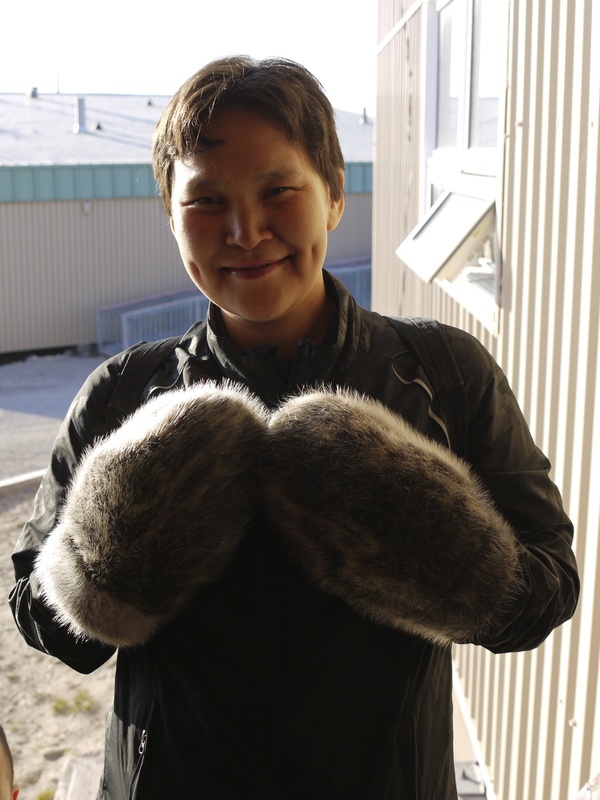 I was very lucky to be able to buy some gorgeous sealskin mitts, from Linda, the lovely lady who made them. He husband hunted the seal, and she tanned the hide. 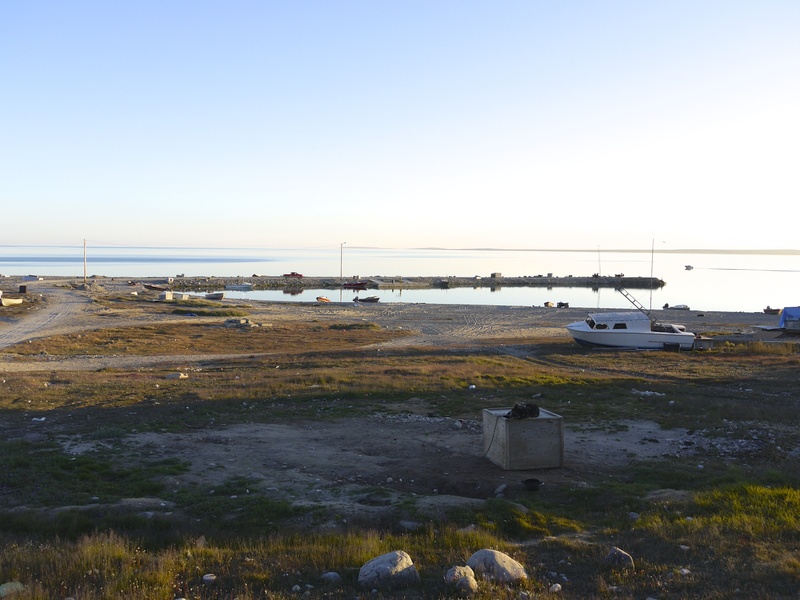 I very much enjoyed my time in Gjoa Haven. The best part was meeting the locals, and hearing stories about life now, and in the past. People were friendly and welcoming. I never once heard anyone raise their voice, or yell. I didn’t hear any arguing at all, but lots of children laughing as they played. Life is certainly different in Gjoa Haven. I get the sense that it is mostly an interior life, although people really love to get out on the land as well. More than Canada, it reminded me most of my time in the Everest region of Nepal. Friendly down to earth people with enough money for food and clothes but not necessarily more than that. Rough dirt trails, no roads, spectacular wild scenery, animals that work for their food. Curious happy children, and wise, weather beaten elders. 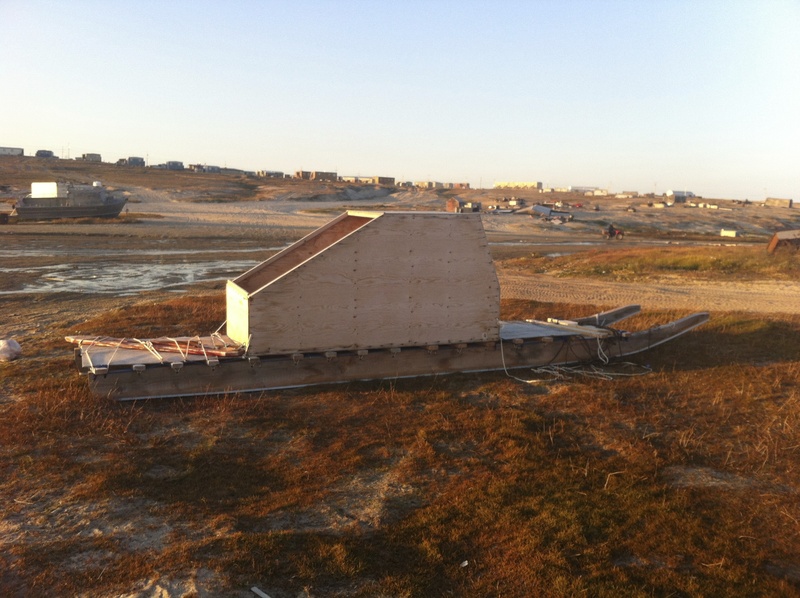 This entry was posted in North of 60 and tagged Arctic Char, Arctic Ocean, Gjoa Haven, Sealskin mitts, sled dogs, The Arctic. Bookmark the permalink. Love reading your blogs. Life is certainly interesting up there. Sound like wonderful people. It certainly is interesting. Its a big part of the charm of living here. Things can be challenging at times, but then the character of life in the north shines through and makes all the challenges worthwhile. I’m traveling right now and just don’t have the time to keep up with everyone, but I’ll save this one for reading when I get home! Thank you for sharing your wonderful opportunity with us. I am so happy to know that an MD assigned to such a duty fully experiences and enjoys the experience, rather than being frustrated with the limitations. I am very curious about how you adapt your practice in a resource-limited setting. I am a nurse practitioner at a Native clinic, but in a very different environment – an urban US setting, where all the best resources are available… but the limiting factor is insurance. I try to also see the opportunity here, developing my history taking and physical exam skills and focusing on lifestyle interventions instead of ordering blanket labwork and imaging. Of course, I have the benefit of access to many resources when a problem becomes acutely life-threatening. I can relate to the patient craft vending and subtle communication cues, though… as well as witnessing the health effects of generations of maltreatment by European settlers. Thank you again for your stories. Hello, and thanks for your wonderful comment. Although the health needs of an urban vs a rural population can be quite different, at the end of the day poverty is poverty and a big part of a persons health. As a Canadian and a long time rural doc I have never really practiced in a resource rich environment, and have always relied on my clinical skills and judgement, which can take one a long way. I think a thoughtful individual approach to treatment is always the best way to go in any case, rather than blindly following treatment guidelines. I think especially in other cultures, those guidelines don’t take into account a persons cultural perspective. For instance, I know many people who would accept a lower outcome for treatment of a condition if it meant they didn’t have to travel away from home. This is an interesting conversation – thanks again. I’d love to hear more about your work. Thanks Tandi, your blogs are wonderful and can’t wait for the next ones to come along. Your are sure experiencing the life of such wonderful people from the ground up aye? Also agree that the pictures makes one feel like we’re right there and understand how thing are for them. I’m back home and just loved this post. In some ways, I brushed up against this kind of life during my two weeks in the American midwest, and it was so refreshing. Quiet people, who seem to live by the rule that, if they don’t have anything to say, they don’t say it. What a concept. The photos and narrative are wonderful. The image of the woman with the mitts is especially wonderful. What a straightforward gaze, and if I’m not mistaken, a little pride in her work, too! What a wonderful experience for you, and a real treat for us, your readers! OH! And that muskox sensitivity. That’s a new one! The sign reminded me of this photo of a baby muskox I saw recently. Oh he is beautiful! Thanks for sharing this. I hope I might get a chance to see one sometime. They are a vulnerable population, as their response to a threat to to form a circle around their young, with horns out. That doesn’t work so well in the age of firepower. Welcome home Linda! Yes, I think we can learn much from quiet people and quiet cultures. Have you read “Quiet”, about the power of introverts? We clearly live in a culture that values extroversion almost exclusively, and I think we miss out on much richness as a result. I haven’t read it, but I’ve read of it. I’ve slowly been detaching myself from some of the more irritating sources of clamor in our modern world – television, social media and so on. While I’m no Luddite (I’m quite fond of my computer and programmable coffee maker) I find that many of the gadgets meant to keep us informed and/or connected end up doing neither. It’s quite interesting to watch the dynamics of all this. I completely agree Linda. I’ve become aware this year of how my brain has changed with the advent of being more connected. I don’t really participate in social media, but just having a smart phone and the ability to check emails and the internet has changed me. I find my attention span is shorter, and I don’t like to slow down and savor things the way I used to. I too am trying to pull back, which is one reason why I don’t comment much on your blog. I am also rediscovering my love of reading. I realized I’ve been reading superficially this last year – just junky novels. I’m slowing down and diving into deeper things, (right now I’m reading the new Donna Tartt novel, which is hefty) and I’m really enjoying it. What I hate about social media and the internet in general, and its a reflection on the trend in our society, is the superficial. Its difficult to dive deeply into anything. I think its to our peril that we allow this to happen. We need reflection, and space. This is how we find our true selves, our creativity, our inner voice and perhaps even God.